For the past week, I have been traveling the midwest playing pickleball and giving clinics. As strange as it is to say, after winning prize money in a tournament I am now technically a professional pickleball player. People see me as the expert – they have even asked me to sign their paddles! On this trip, I’ve played pickleball at all kinds of interesting places and met great people. In Kansas City they took 6 tennis courts and made them into 12 pickleball courts, holding a tournament with over 60 participants and letting me do a clinic. 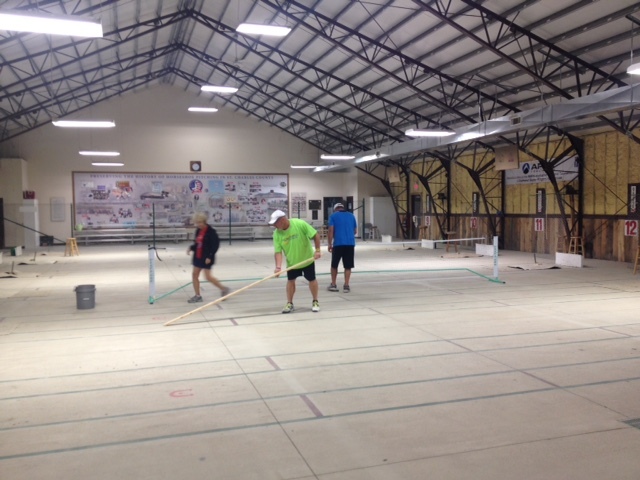 Topeka, Kansas has converted their public tennis courts into 10 dedicated pickleball courts and has plans to make 8 more. In St. Louis, they play in between the pits of a concrete horseshoe pitch at the International Horseshoe Hall of Fame. Edwardsville, Illinois uses an indoor roller-hockey rink. 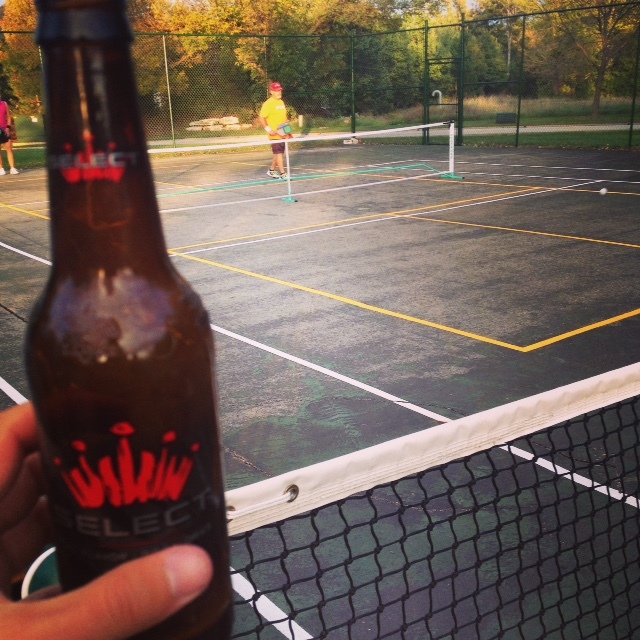 Pickleball is exploding across the country and it’s cool to get to be a part of the movement. My impression of the midwest is that it’s not the greatest place (sorry, it’s kind of flat) but it has some of the nicest people I have ever met. People all over Kansas and Missouri took me in and welcomed me, almost like I was part of their family after just a couple of days. I went to one family’s house for pizza and the Royals game, I stayed with another guy I had never met and went out to dinner with several others. I’m sure there are people like that in Colorado, but they don’t seem quite as overtly friendly. I’m now in Arkansas and I’m on to Louisiana, Texas and Oklahoma for more pickleball! 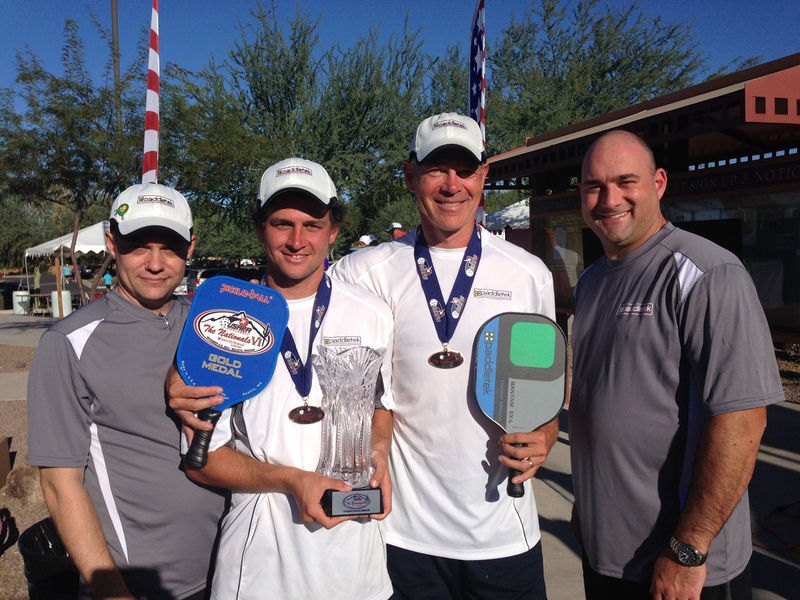 Keep following my blog to get updates, and check out pickleball at http://www.usapa.org to see what it’s all about. Also, check out Paddletek, the paddle company I am sponsored by and let me know if you are interested in playing pickleball or becoming an authorized dealer. Here’s another video of me playing in Kansas City! I’ve decided that winning and losing doesn’t matter, life is too short. 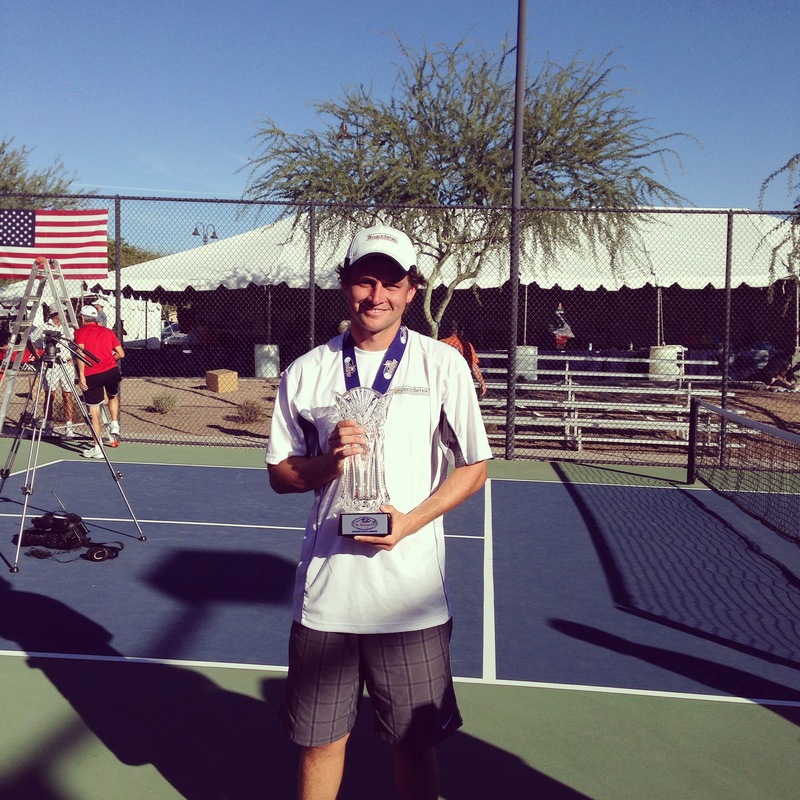 But since it doesn’t matter and I obviously don’t care at all, I much prefer winning to losing 🙂 I’ve been doing some of both in both tennis and pickleball and wanted to share the story. Two weeks ago I traveled to Ogden Utah to play in a professional pickleball tournament. Currently, it’s the only tournament in the world that gives out prize money, and my first tournament at the national level. The first day, my dad and I played doubles together, drawing last year’s national champions in the first round. Not the greatest draw, but you have to beat everyone at some point if you’re going to win the tournament. We came out strong and beat them in straight sets, 11-6, 11-6, shocking the pickleball establishment. Everyone was watching us. We won the next match as well, beating the guys that would later get 1st and 5th in singles. In the semifinals, we played the guys who would eventually win the tournament. We made some stupid mistakes, didn’t convert when we really needed to, and got upset about (what I still think was) an unfair call. We lost in 3 sets, and lost the next match to the same guys we had beat in the 1st round (they had come up through the consolation bracket). Singles was almost the same thing for me. I won my first three matches, getting to the semifinals where I played the guy who we lost to in doubles. I lost in 3 sets after having a match point, and lost my consolation match to the guy who would eventually get 2nd. My dad did better, getting 2nd place in the 50+ category (although he also let the final slip through his fingers). The only thing I regret about the tournament was mental. I lost my tennis cool. I got upset about stupid things and when I did that, it took my focus off the point. Because in the end it really doesn’t matter, in competition you can’t let yourself get upset about little things. Now to my tennis season. Now in my second year of coaching, I had gone a year and a half without a single team win. We had come agonizingly close. Like our 4-3 loss against Pueblo East last year when winning a single tiebreaker would have sealed the deal. Or last week when we were winning all our matches when buckets of rain came pouring down from a previously amicable sky. I was beginning to believe the tennis gods were thwarting me for partially converting to pickleball. Then yesterday we played Harrison High School, a first year team that had not a single athlete, let along tennis player. We pulled out a few close matches and a couple of 10-point tie breakers, winning the match 7-0. Victory is sweet when it’s been long in the making! Morale was in critical need of a boost, and I’m buying the team bagels today, honoring my promise to buy them if anyone bageled another team (won 6-0).